I custom design individual training plans for triathletes, cyclists, & marathoners. I consider each athletes strengths, opportunities, goals, & lifestyle when designing their training to give them the best outcome possible. Daily training plan adaptation & feedback via your Training Peaks account. Power & heart rate testing & data analysis. Benchmark testing to evaluate the training plan's effectiveness. Unlimited communication. Goal setting & race review. 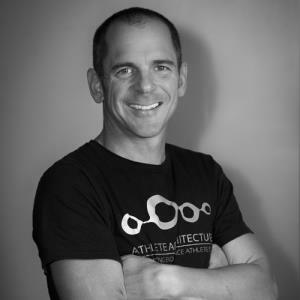 Chris Toriggino is the Founder and Head Coach of Athlete Architecture. He is a USA Triathlon Level 1 Certified Coach, an Ironman Certified Coach, a USA Cycling Level 3 Certified Coach, and an accomplished triathlete with almost 30 years of racing experience. He has competed at all distances of triathlon as both a pro and a top level amateur. Athlete Architecture is a high performance endurance coaching company. I provide one on one coaching, physiology based training plans, and sport specific assessments. I am based out of Sydney, Australia and Austin, Texas and train successful athletes worldwide with a low athlete:coach ratio. Whether you aim for your first 5k or a podium spot at the Ironman, I have the expertise to build you into a successful endurance athlete. I understand that my athletes lead fulfilled lives outside of endurance training. My athletes excel competitively while maintaining a healthy balance between family, work, and social demands. Whether you are a triathlete, pure cyclist, or beginner 5K runner, Athlete Architecture can help you reach your athletic goals. Thanks for your interest and look forward to hearing from you! Please visit www.athletearchitecture.com for more details. Success. Coach Chris Toriggino has been notified of your message. To hire Chris Toriggino as your coach, select the coaching service that is right for you.